About "Finding percent of a number"
A percent is equivalent to the ratio of a part to a whole. To find a percent of a number, you can write a ratio to represent the percent, and find an equivalent ratio that compares the part to the whole. We can find percentage of a number using the two methods given below. Use proportional reasoning to find 28% of 25. 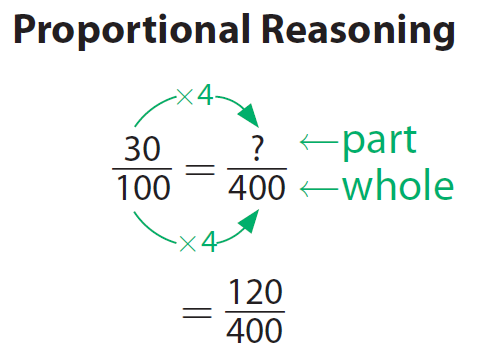 Write a proportion comparing the percent to the ratio of part to whole. Notice that 25 is a factor of 100. Since 25 · 4 = 100, find what number times 4 equals 28. Hence, 28% of 25 is 7. Use multiplication to find 35% of 60. Write the percent as a fraction. 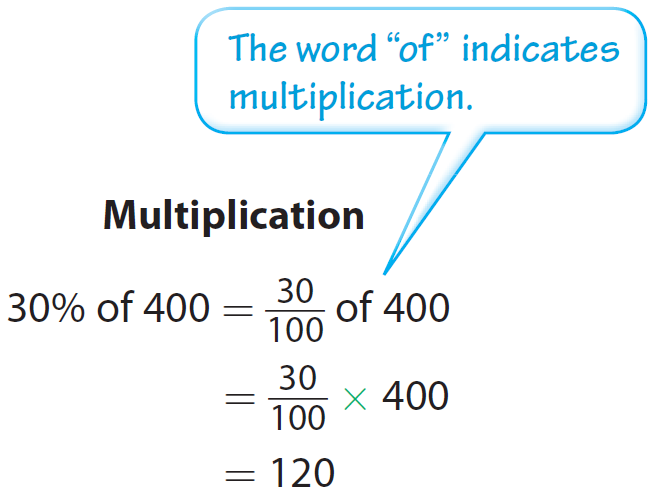 Always the word "of" is translated to "Multiplication" in Math. Hence, 120 left-handed gloves were in the shipment. After having gone through the stuff given above, we hope that the students would have understood "How to find percent of a number".